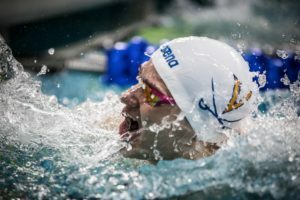 The 2019 Baltic States Swimming Championships wrapped up in Tartu, Estonia over the weekend, with Estonian, Latvia, Lithuanian and other nations putting their top swimmers to the test. Competing in long course, Povilas Strazdas of Lithuania pulled down 3 victories over the course of the two-day affair, including taking the 50m freestyle gold in 23.52. He followed that up with a 200m freestyle podium-topping effort of 1:53.24 and concluded with a 200m IM victory of 2:05.74. Strazdas also earned bronze in the men’s 100m free in 51.70. Taking that 100m free title was 21-year-old Daniel Zaitsev. Zaitsev hit the wall in 50.99. Andrejs Frolovs of Latvia got the job done in an ever-so-close men’s 50m breaststroke final, clocking 28.86 to runner-up Martin Allikvee‘s silver medal effort of 28.87. Allikvee exacted some revenge in the form of the 100m and 200m breaststroke victories, however, clocking times of 2:14.46 and 1:03.03, respectively for gold in each. Margaret Markvardt of Estonia made things happen for the women, taking the 50m and 100m backstroke races in times of 1:04.68 and 30.81. The 28-year-old, 28-time Estonian National Champion hit the wall in 2:22.95 to also take gold in the women’s 200m IM. 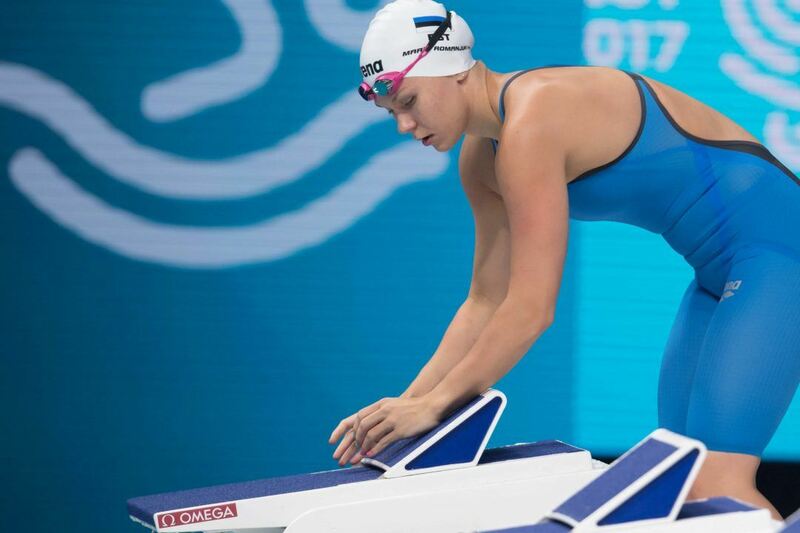 In a sweep of the women’s breaststroke events, Estonia’s Maria Romajuk scored times of 32.34 in the 50m, 1:10.50 in the 100m and 2:36.02 in the 200m. Just for perspective, Romanjuk produced a mark of 31.92 in the 50m and 1:08.81 in the 100m breast at the 2017 World Championships, finishing in 26th place in both events. “putting their top swimmers to the test” – I am not so sure about that, because Lithuania essentially was swimming without their Olympic team – Rapsys, Titenis, Bilis, Sidlauskas, Meilutyte etc. I am sure the result would have been different if any of these swimmers swam for Lithuania in this meet.